Kaiju Alert, Let’s Protect the Rim! “Today. Today… At the edge of our hope, at the end of our time, we have chosen not only to believe in ourselves, but in each other. Today there is not a man nor woman in here that shall stand alone. Not today. Today we face the monsters that are at our door and bring the fight to them! Today, we are *canceling* the apocalypse!” The moving speech that Stacker Pentacost yelled to the people of the Pacific Rim. Idriss Elba was perfect for that role and one of the best actors in that movie. This was just a fun overblown movie. It had great special effects, great actors, and awesome alien monsters. You also get some really good acting out of the side characters and not the main ones. Also there is a feeling of Anime greatness to the movie. Ron Pearlman is even added to the mix to make the movie more fun! What is the plot of this film? Here you go…Long ago, legions of monstrous creatures called Kaiju arose from the sea, bringing with them all-consuming war. 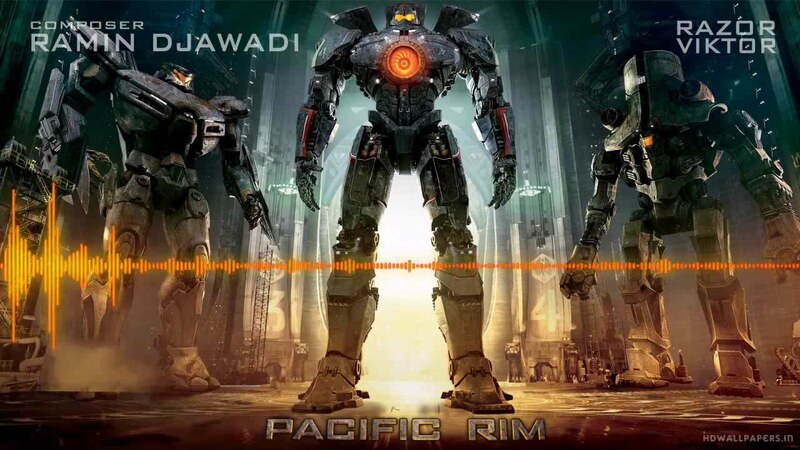 To fight the Kaiju, mankind developed giant robots called Jaegers, designed to be piloted by two humans locked together in a neural bridge. However, even the Jaegers are not enough to defeat the Kaiju, and humanity is on the verge of defeat. Mankind’s last hope now lies with a washed-up ex-pilot (Charlie Hunnam), an untested trainee (Rinko Kikuchi) and an old, obsolete Jaeger. What more could be said about this film? Ramin Djawadi composed the score, he also composed Iron Man the movie that spawned all the great Marvel movies here on. Ramin has a very metal sound to his score and then there is something organic about the Kaiju monster music in the film as well. You can find the score on Amazon and ITunes. Here are a few clips. Well look forward to Sunday’s post…Howard the Duck. See you then. Happy Listening! You know what? I LOVED this movie! I didn’t have high hopes for it because it wasn’t all that popular and I hadn’t heard of any of the actors besides Idris Elba. But seriously who doesn’t love a giant robot suit? Fun movie!